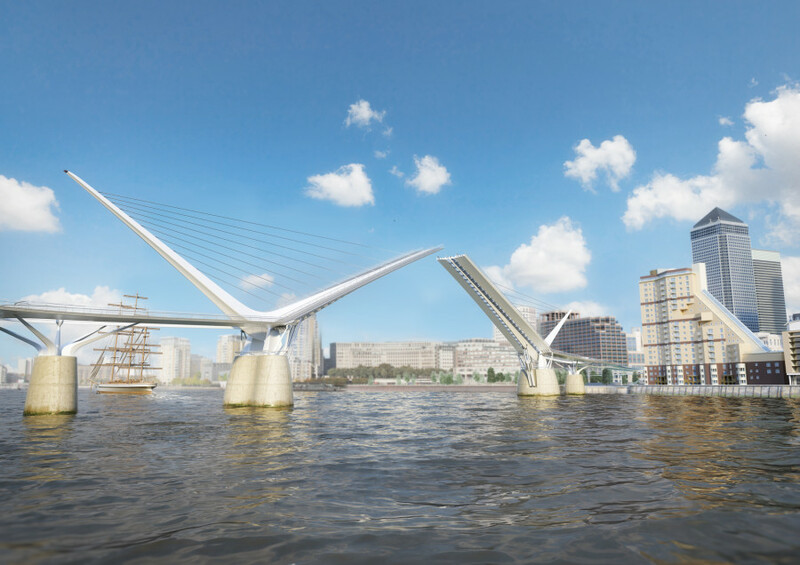 reForm Architects has registered their design for a new pedestrian and cycle bridge across the Thames between Rotherhithe and Canary Wharf in East London. Based on a self-start design concept by reForm’s Managing Director, Nik Randall, it has been developed with engineering support from Elliott Wood and cost management advice from Arup. The design is unique. 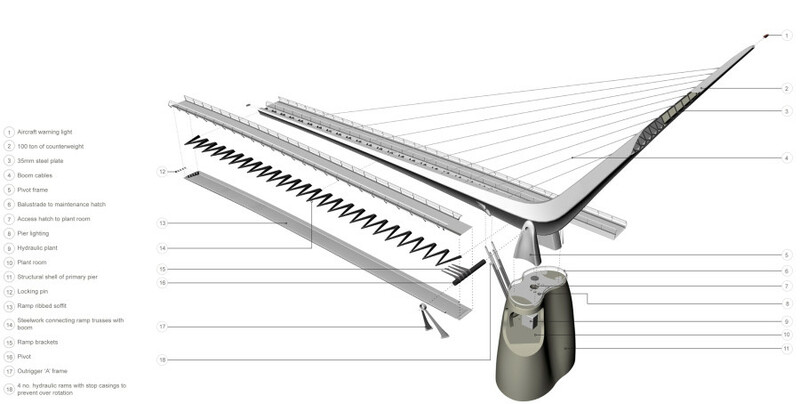 The 185m central span is supported by cables from angled masts at each side. 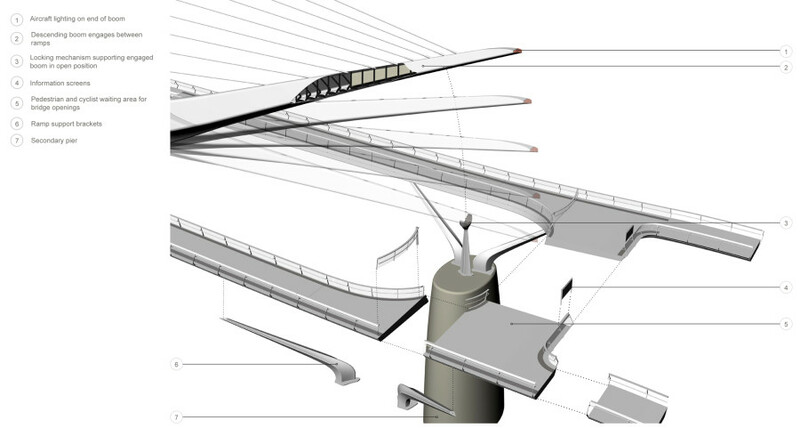 These wishbone-like structures pivot to enable the bridge to lift at its centre to allow tall and large ships to pass. 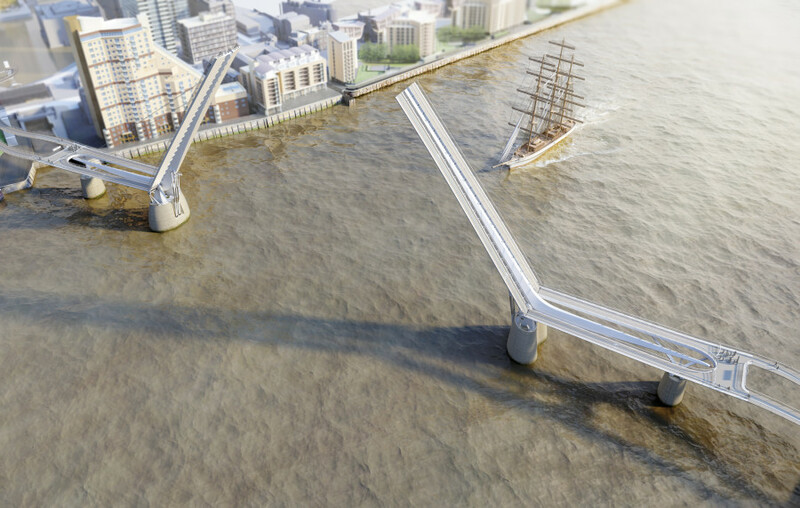 The masts also act as counterbalance weights, so that the bridge can open very efficiently requiring approximately £10 of electricity to open at 2015 prices. 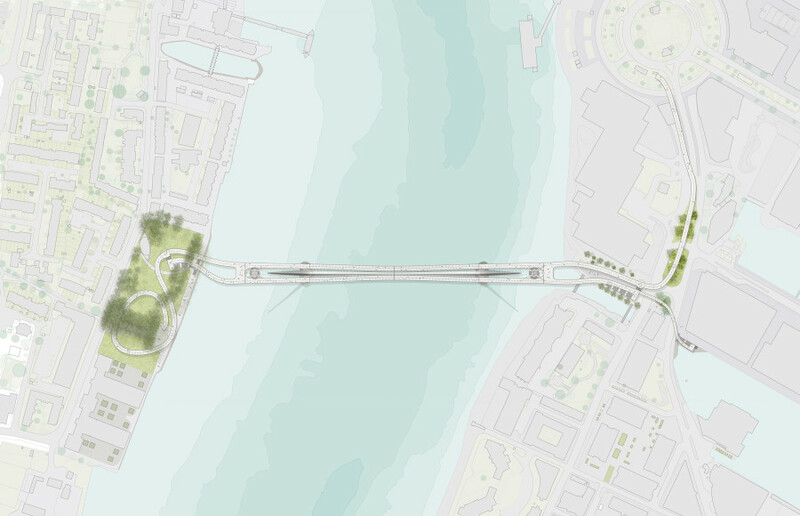 Working with Sustrans, we used our original design to test the viability of a crossing at this location in consultation with Transport for London (TfL), London Underground, the Port of London Authority and the Canal & River Trust. There are dozens of bridges in London to the West of Tower Bridge, but none to the East. Rotherhithe is about half the size of the City of London, and is as close to it as Pimlico, Mayfair or Marylebone, but much of its area is served by only two bus routes. Rotherhithe has a clear need for improved connections and travel options. Those travelling to Canary Wharf on the existing tube and rail routes experience significant congestion during the peak hours. This proposal will provide an alternative travel option for thousands of people every day. People working at Canary Wharf and travelling by bike or foot from the south will no longer be faced by lengthy detours to Tower Bridge and Greenwich Foot Tunnel or the polluted and perilous passage presented by the Rotherhithe Tunnel. 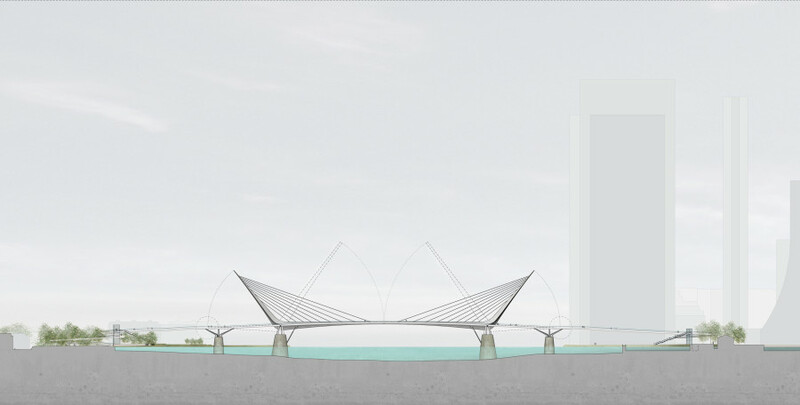 The proposed bridge has the potential to bring significant economic benefits to the communities on either side of the river and beyond, and will be a welcoming gateway for all those arriving into London by river.